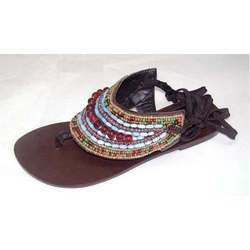 We are a leading manufacturer, exporter and wholesaler of wide range of Ladies Slippers according to the latest market fashion. Our range includes High Heel Slipper, Ladies Slipper and Handcrafted Ladies Slippers. These highly appreciated ladies slippers are fabricated using premium quality raw material and are well designed by the members of our expert team. Being an industry leader, we offer a broad range of premium quality Handcrafted Ladies Slippers that widely finds its application among the girls of all age group. These are available in various fascinating designs, sizes, patterns, colours as per the needs and demands of our respected customers. We offer our range of product at affordable prices and within an assign time frame. We are renowned manufacturer and supplier of an extensive range of High Heel Slipper, which are available in various designs and cuts. Our product range can be obtained in different enthralling colours, sizes and patterns. These high heel slippers are widely demand in the market by girls and women’s. We also offer various customize solutions for our range of product to our clients. 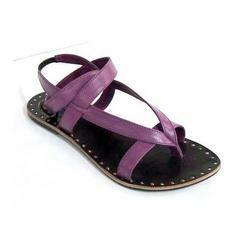 Our company is engaged in manufacturing and supplying an exclusive range of Ladies Slipper across the country. These are fabricated using high quality material that is procured from reliable vendors of the market. We give priority to maintain quality standards in our product range offered by us to make sure the durability, superior quality and reliability. High Quality Non Leather Material with Heavy Padding for comfort. Looking for Ladies Slippers ?